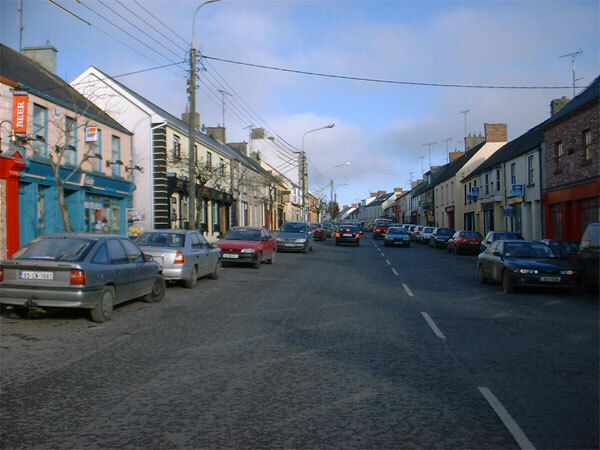 Ballyconnell is located 11km west of Belturbet, close to the Fermanagh border and at the foot of Slieve Russell mountain. 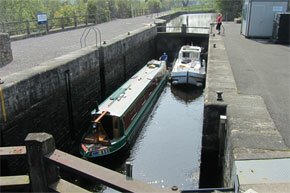 It has a wide range of amenities, and is a well known coarse fishing centre. 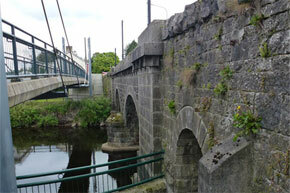 This lovely town has won the national tidy towns competition twice, a remarkable achievement by any standards. The 17th century Church of Ireland is surrounded by earthen fortifications, and there are two diamond shaped redoubts dating from the war between James II and William of Orange in 1689. 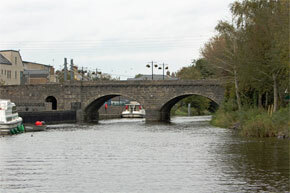 Down river from the town is Lough Garadice, a jewel in the waterway dotted with wooded islands well known for fishing. There are also four smaller lakes, Derrycassan, Coologe, Ballymagauran and Woodford. 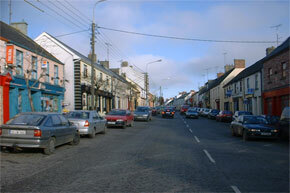 The town is named after Conal Cearnach, (Conal the Victorious), a central figure in many pagan iron age tales. He was killed here in by the men of Connaught in vengeance for the death of their king, reputedly in the 1st century BC. The Killycluggin stone is said to be from the same period, and lies 5km from the town. It is carved with La Tene patterns and may have been used to inaugutate the kings of the time. There is an ancient pagan cult-centre about 6km from the town, where many sacrifices are said to have take place. 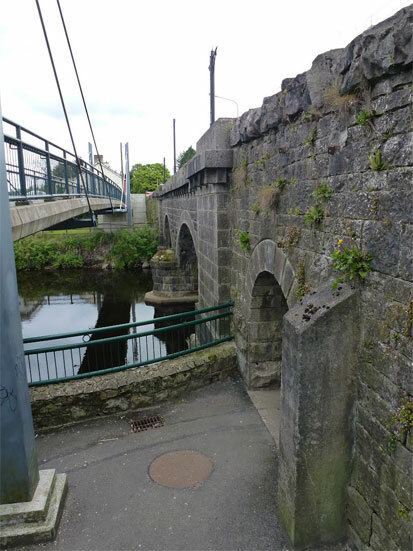 St. Patrick reputedly came here inn 432AD and cast down the sacrificial stones. The area is known as Magh Sleacht (The plain of slaughter). Ballyconnell Town has the Woodford River running through its centre and while there are plenty of fish to be caught there, local lakes such as Culliaghan and Killywilly are bursting with bream, roach and hybrids and give superior catch returns. Ballyconnell is at the heart of an enormous warren of lakes and rivers containing everything from tench to monster pike. Brakley Lake Bream, Roach, Perch and Hybrids. 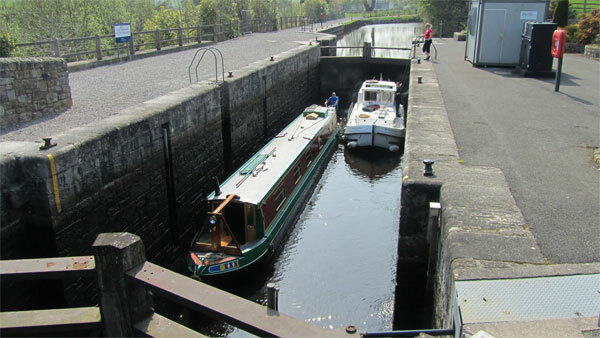 Medium depth water and great ease of access and only 5 miles away. Dungimmon Lake Well stocked with Trout, Pike, Perch, Roach, Rudd and Beam, only 3 miles from Ballyconnell. Enniskillen Castle was built in the 15th century by the Maguires, then chieftains of Fermanagh. The castle now houses the Fermanagh County Museum, and a heritage centre. The most striking feature of the castle is the Watergate, two turrets which were added to the castle to dominate the water approach to the castle. The Buttermarket is a restored nineteenth century market which now houses craft workshops and exhibitions, with street entertainment and traditional music. Ardhowen arts centre houses a restaurant, an exhibition area and a theatre. Devinish Island is one of the most important monastic sites in Ireland. The monastery was originally founded by St. Molaise in the sixth century, but most of the ruins date from the twelfth century. There is a surviving round tower which stands eighty one feet and has a cornice carved with four human heads. A ferry crosses from Trory point from April to September. At Killadeas Graveyard there is an early Christian carved stone known as 'Bishops Stone'.